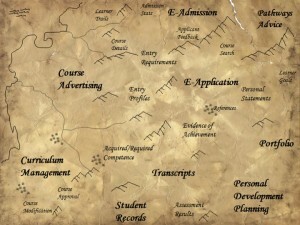 This entry was posted in curriculum design, learning opportunities, lifelong learning, Public. Bookmark the permalink. 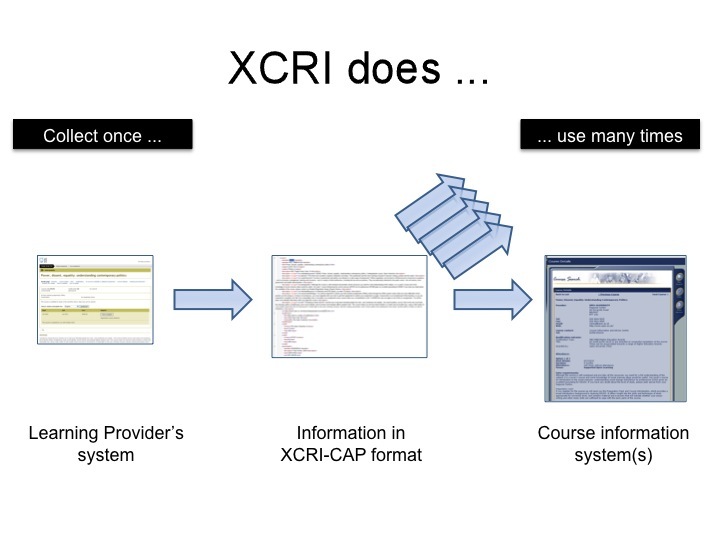 In UWIC (Cardiff) we have been collaborating on XCRI with UK universities for over a year, raising the profile of the standard for exchanging course information between institutions and aggregators. 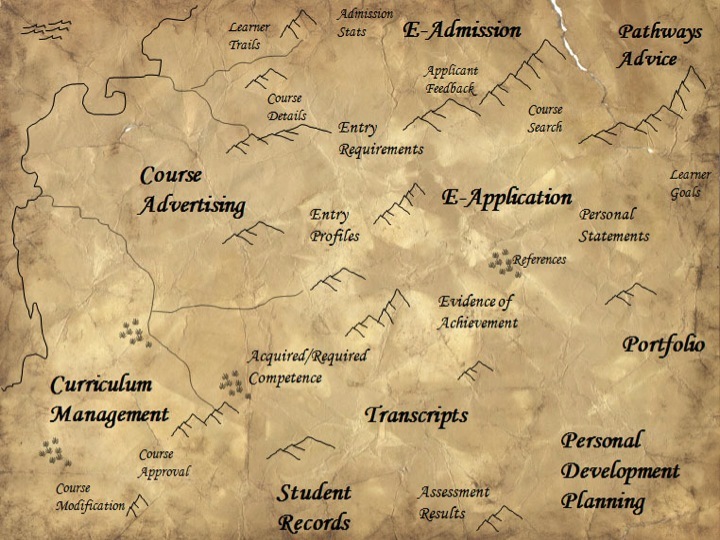 For us it has always seemed a ‘no brainer’ bringing consistent,universally valuable, extensible course data – enter once and disseminate to many – across a diverse constituency. A 21st century opportunity to use technology positively to solve an intractable problem. But for Wales, apparently, this is to be a step too far. 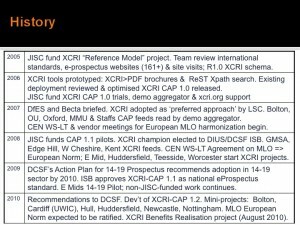 The next two JISC funding rounds are limited, exclusively, to English institutions through HEFCE. There is seemingly no appetite for HEFCW to support the very project which might assist in Leighton Andrews drive for joined up, collaboative growth in tertiary education in Wales. 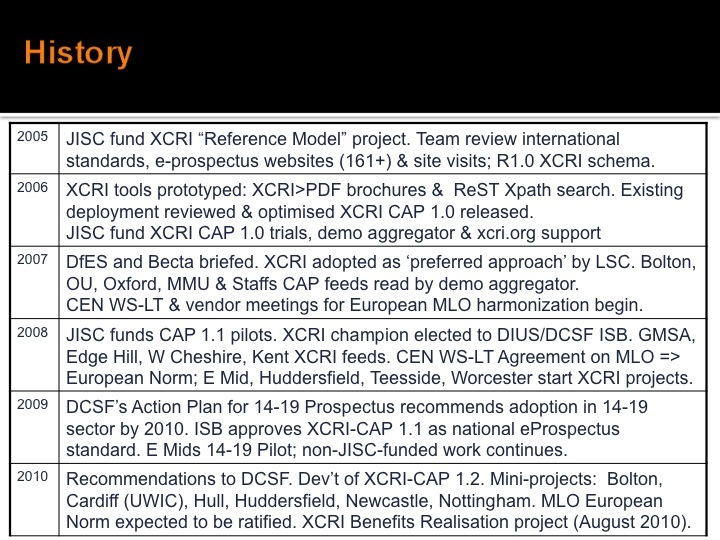 And backed by me as head of Enterprise SIG at the time; I booked the original start up meeting to gather together the people talking about standardised course information, and supported the XCRI group and meetings in its early stages! I hope the wider roll out is successful.